Everyone knows that the orange color is not entirely uplifting, but also appetite! 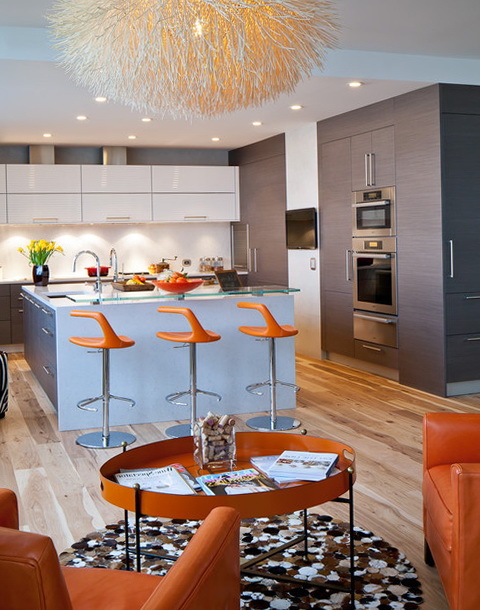 Orange color is perfect for the interiors of those people who live in cold climates, and they need heat. Sunny color adds joy to the interior. Orange color will look good in the kitchen and the nursery. 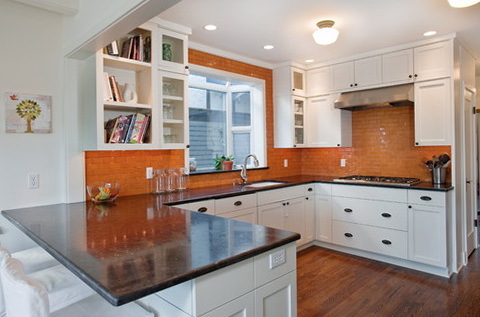 Orange color will look good in the kitchen in a modern style to old style orange color is not really desirable. 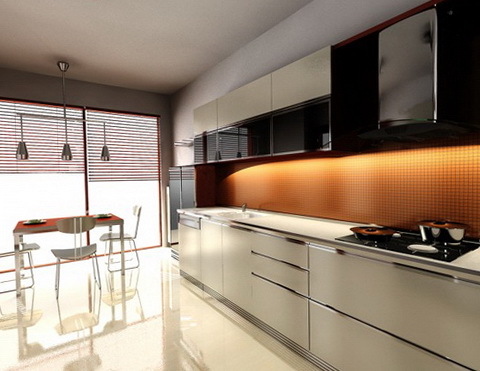 Interior in orange color may be mild and pleasant, you need to use more subdued shades. In the orange color is very diverse and interesting palette of dark brick to light peach color. 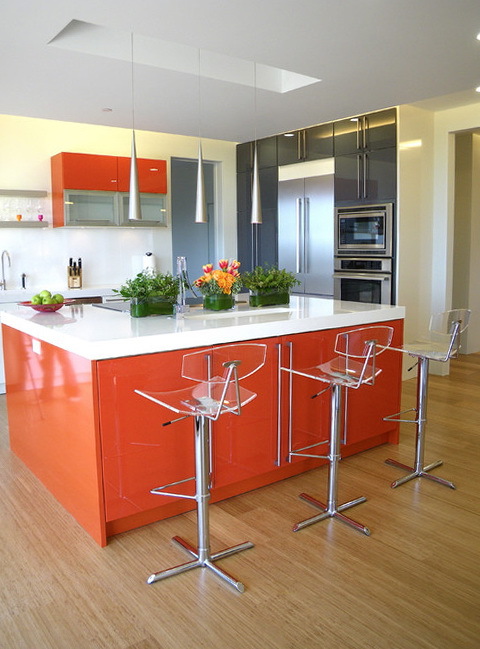 The kitchen can be in orange color and in carrot color. 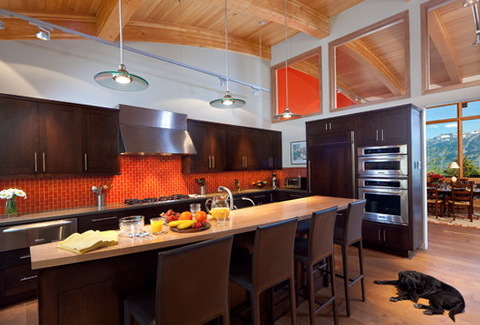 This kitchen in orange can be used both in pure form and in a few details, combine orange color better with lighter shades. Orange color goes well with gray shades. Orange white color can be combined perfectly with other shades, for example blue and orange complement these two colors seem really magical and great. Orange color can refresh a beautiful and sweet green color, it can be potted plants, whether artificial flowers. This interior will look very beautiful. Light color in combination with orange elements most successful and widespread, this interior will not dazzle with brilliant colors. 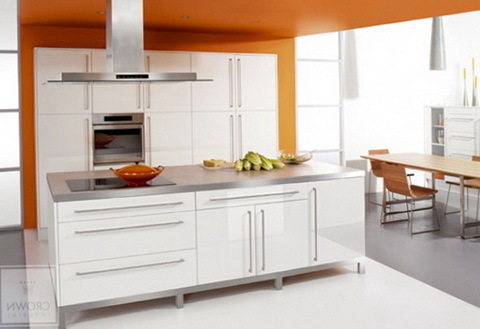 White color is very fresh and clean, and very bright orange and will complement and make the kitchen bright and interesting. 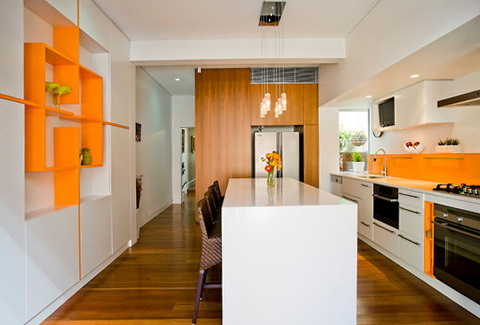 For example in this kitchen workstation allocated bright orange, and there is a shelf with orange.